Becca 8 is out and it has some big improvements. Becca 8 is performing well on its ten test worlds. 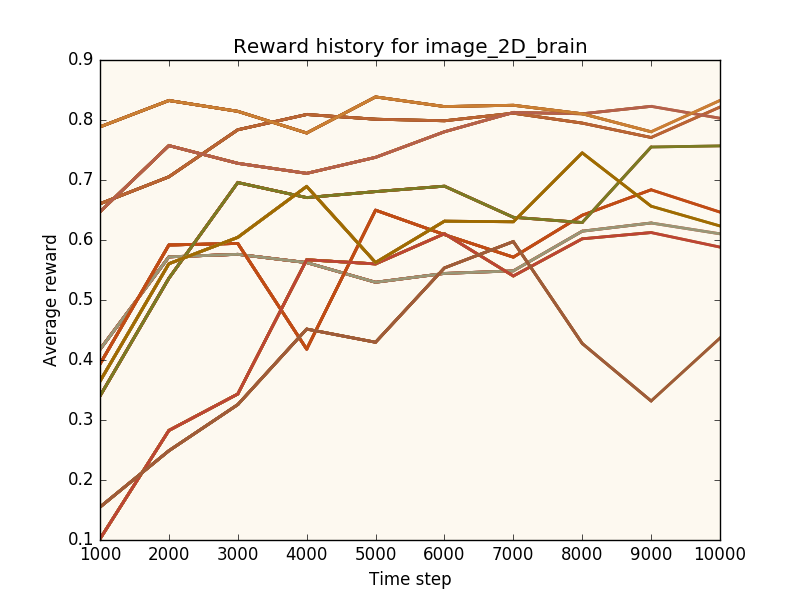 Each one presents a different type of reinforcement learning task. None of them are exceptionally challenging, but for one algorithm to perform well on all of them (as Becca does) requires an exceptionally robust approach. In order to make Becca run comfortably on laptops, most of the computation is streamlined. Although it's written in python, Becca uses numba to compile the hardest working parts into C. Those bits run very fast. Installing Becca is a one-line job on the command line. The good folks at OpenAI have created a playground called Gym for Becca and agents like it. Learning on simulated robots of all types and complexities is a great opportunity to show what Becca can do. Getting Becca integrated with Gym is my next development goal. There are some intermediate steps, and I'll be working through them for the next several months. If you have questions or want to chat, please join us on Gitter. Making Becca faster, smarter and easier to use are baby steps toward it's larger purpose - to be useful. I hope you enjoy working with it.